Workers attempt to clean up oil on a beach in Port Fourchon, Louisiana May 24, 2010. 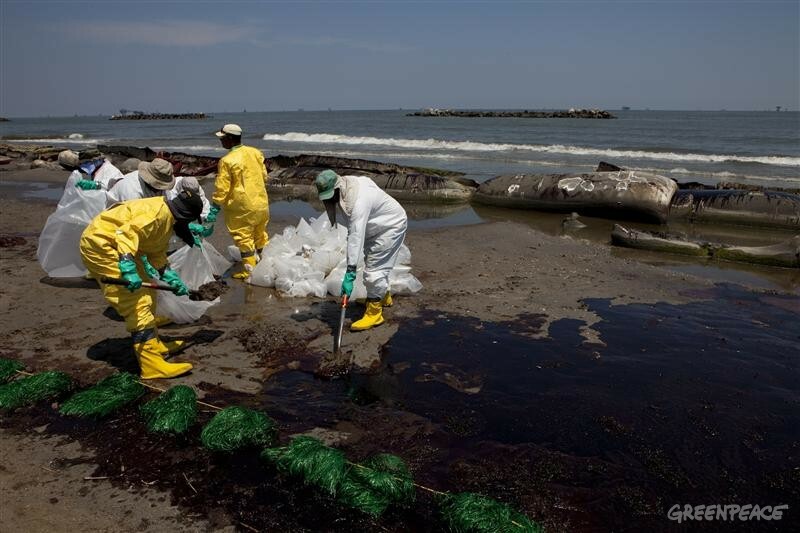 The Louisiana coast has begun to see and feel the effect of spilled oil from the leaking Deepwater Horizon wellhead. The BP leased oil platform exploded April 20 and sank after burning, leaking thousands of barrels of crude oil per day from the broken pipeline into the sea. Eleven workers are missing, presumed dead.